'Nothing ventured nothing gained' as they say. Well, everyone gains for the venture of sending 2 of my charcoal paintings to 'Creative World' art trade fair this month in Frankfurt to be shown on the Nitram Charcoal stand. The reaction to my work was great, really great! I'm thrilled about that. It's a tough competitive market so to stand out from the crowd is a great boost. I'll also delighted to report that the mixed media charcoal drawings (featured as shown) which were displayed on the Nitram stand at Frankfurt I'm told, could have sold time and time again. 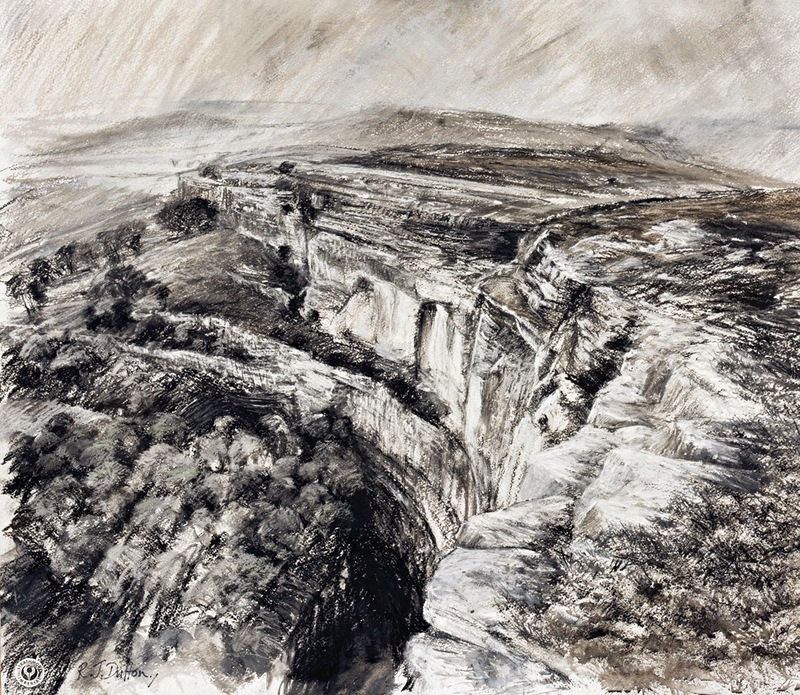 However the proud owner of both black and white drawings is the MD of the company himself no less - Jerzy Niedojadlo which he is pleased to add to his personal collection. Jerzy now has them in Canada in the perfect place in the Nitram office along side other great works of art within the 'Nitram hall of fame'. Nitram charcoal will be put to good use once more as I share this fantastic charcoal amongst my students on an expressive drawing art holiday at Higham Hall near Keswick within the Western Fells in Cumbria from 10-15 February helping their drawings skills develop. I'm looking forward to teaching there (as always) and sharing with you what we do.